Jordan Brand is referencing Michael Jordan’s ionic Gatorade “Be Like Mike” commercial with an official Gatorade Air Jordan 6 release. 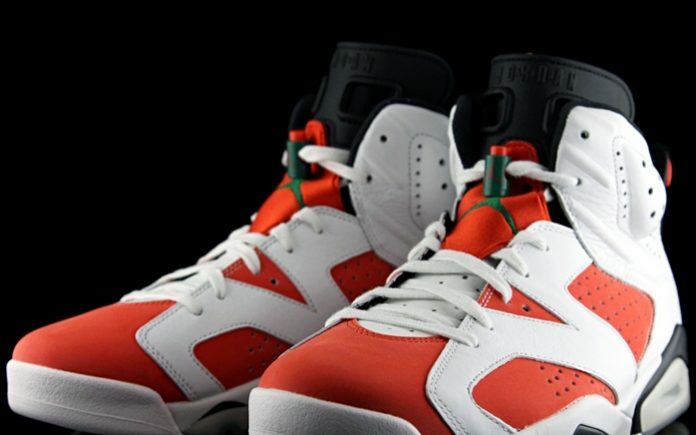 Using a similar color blocking of the “Carmine” Air Jordan 6, which was the shoe MJ wore in the commercial. This retail version of the Air Jordan 6 will be swapping out the Red tones with Orange as well as adding Green hits to give off that proper Gatorade vibe. There are also some pretty cool details that includes the slogan “If I Could Be” stitched on the inner tongues, and Gatorade branded insoles. But the best feature of the shoe is its lace-locks that mimics the classic squeeze bottles. Look for the Air Jordan 6 “Gatorade” to release on December 16th at select Jordan Brand retailers. The retail price tag is set at $190 USD.